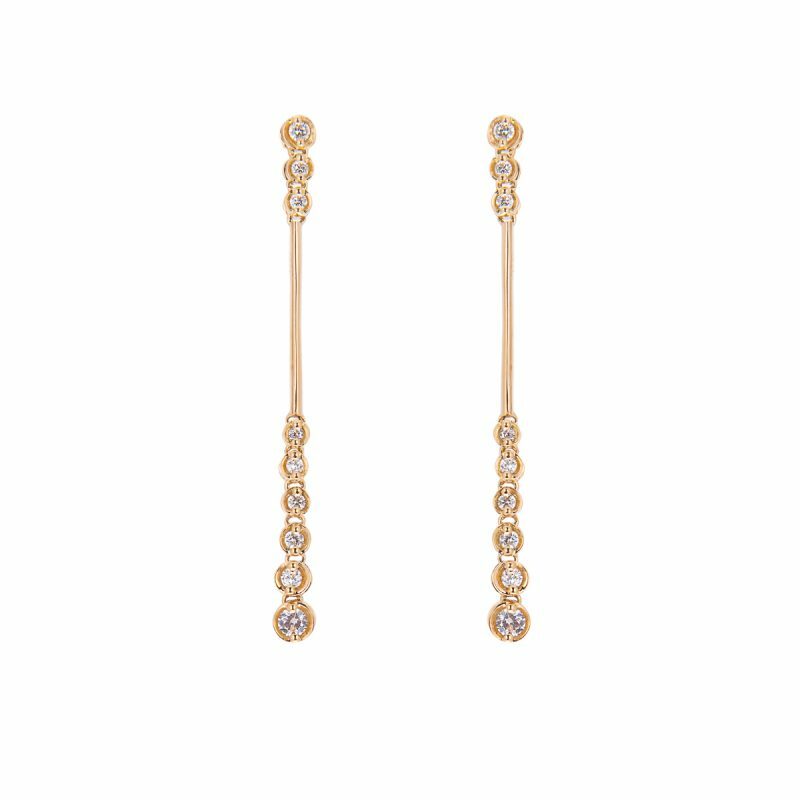 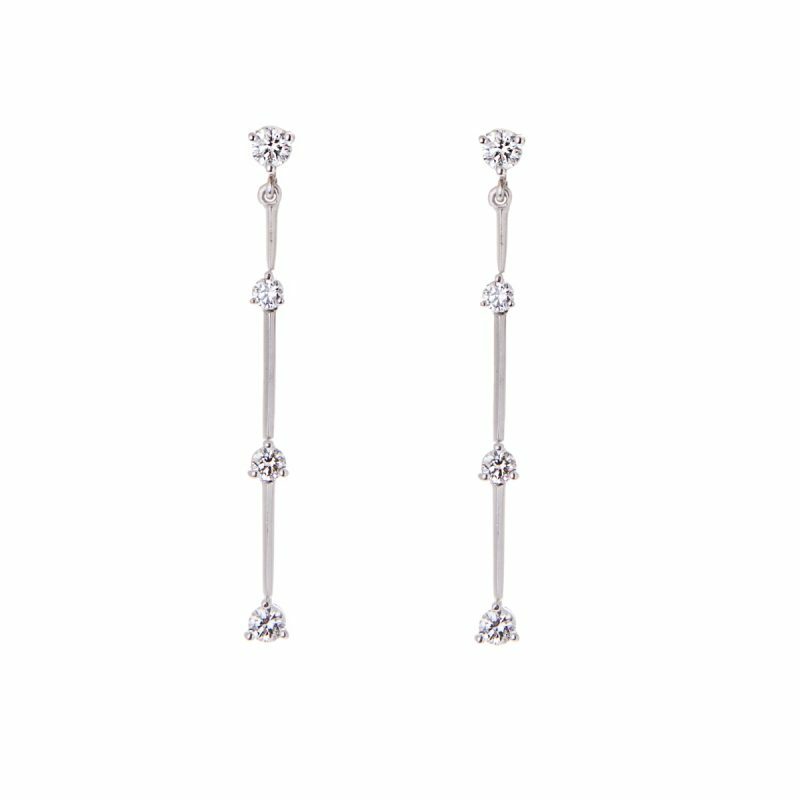 Enjoy the ultimate in luxury and elegance with this stunning pair of diamond drop earrings. 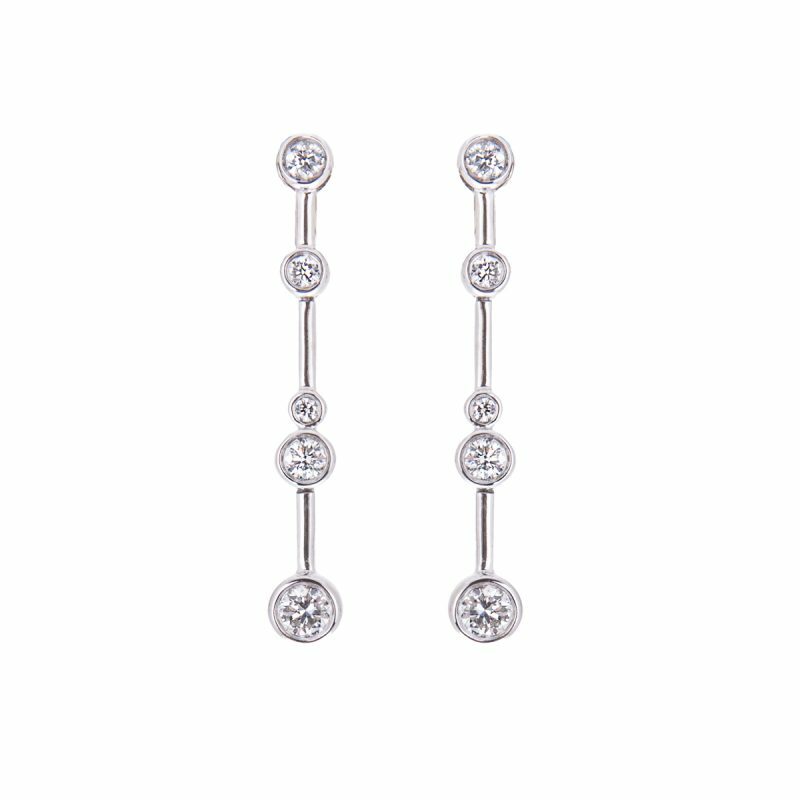 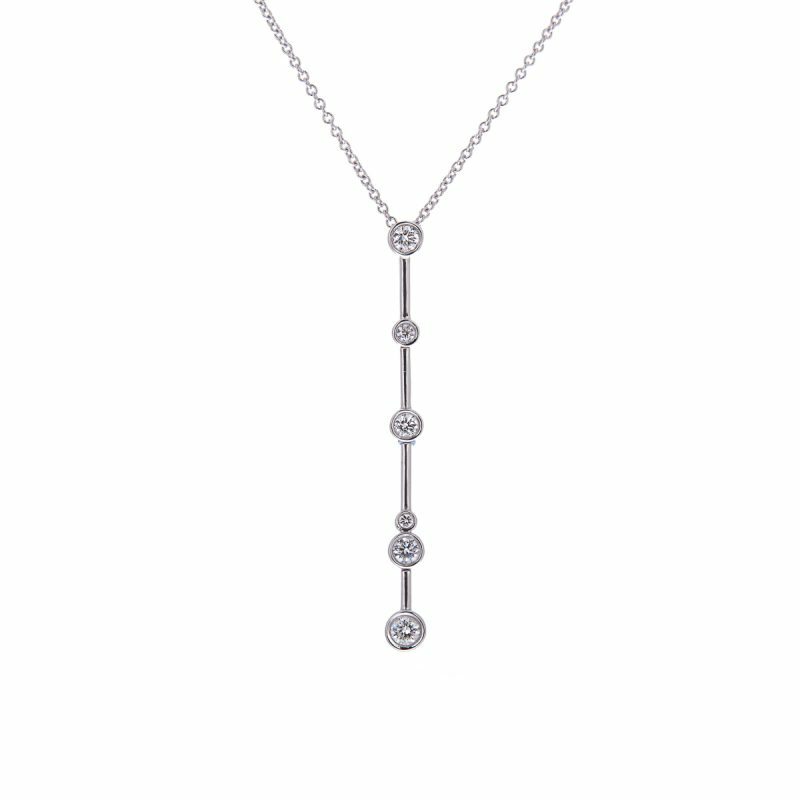 Mounted in 18ct white gold, each with briliant cut diamond mounted in a rubbed over setting interspersed with polished gold bars and suspended from a brilliant cut diamond stud. 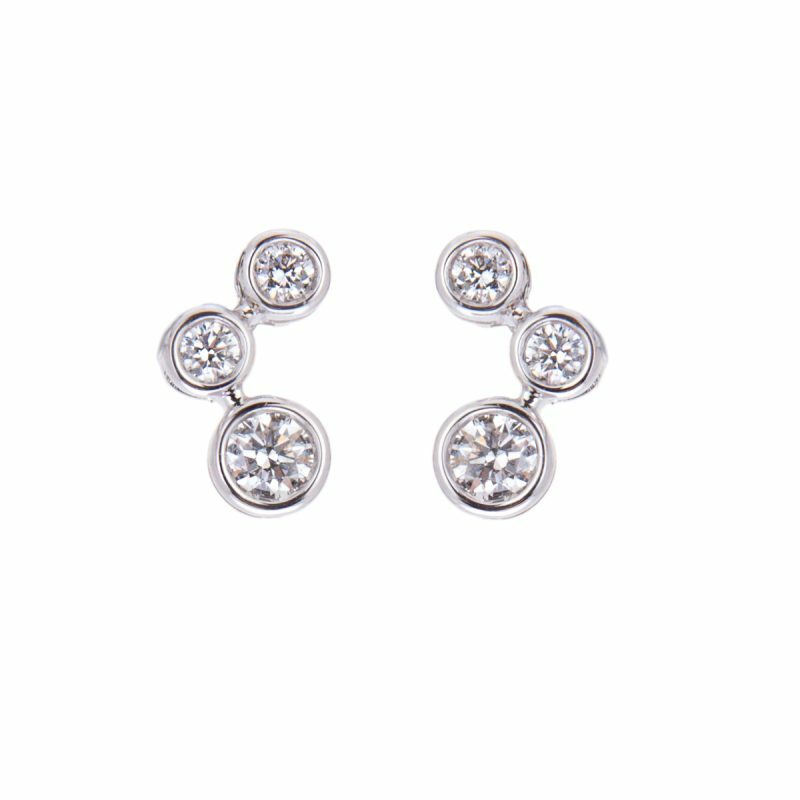 These very versatile earrings can be worn for those special occasions.